Each month brings the opportunity for the members of the U of U Pagan Society to gather the drums and candles and welcome back the new moon into their lives! 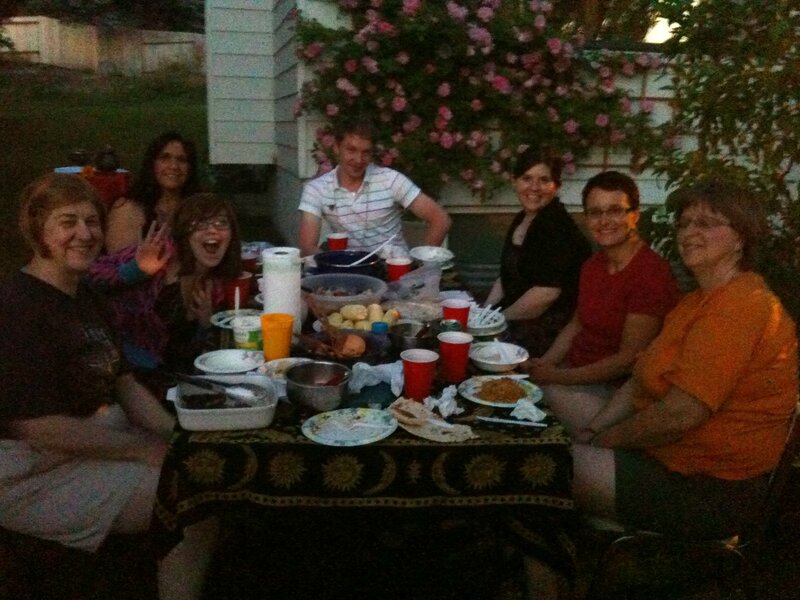 This past Saturday, August 18, 2012, everyone gathered at Muad’Dib’s House to work new moon magic and meditate by a smokeless fire. The drumming helped those present to trance into a state of higher consciousnesses and do journeyings to other realms to communicate with ancestors, spirits and deity. As the drumming rolled into the night, several members reported seeing ancestors and even the Goddess Isis! The high energy made it difficult for some to want to come back this corporeal realm.. they wanted to stay with the Gods! The Om meditation after the drums helped bring them back from those other blessed states. 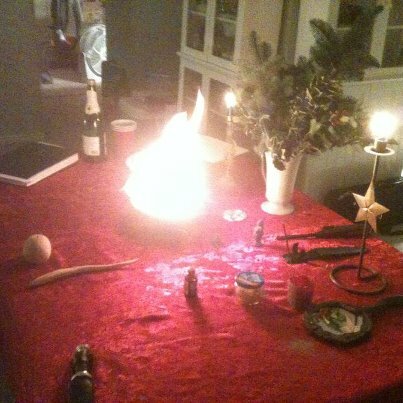 The magic concluded with a few cleansing and charging of items as well as a healing spell for a fellow pagan under the weather. The Green Man made a visit and gave messages to each person after they were anointed with the power and blessing of the new moon. 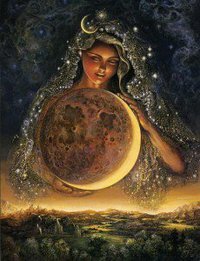 Each month brings another opportunity to draw down the power of the dark moon. 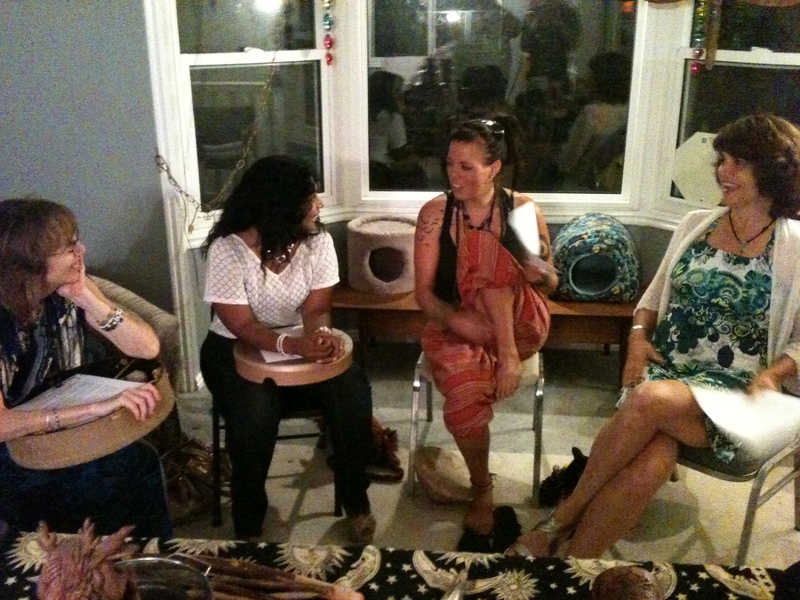 UUPS had a wonderful time celebrating the last new moon of the year on Tuesday, December 20, 2011! 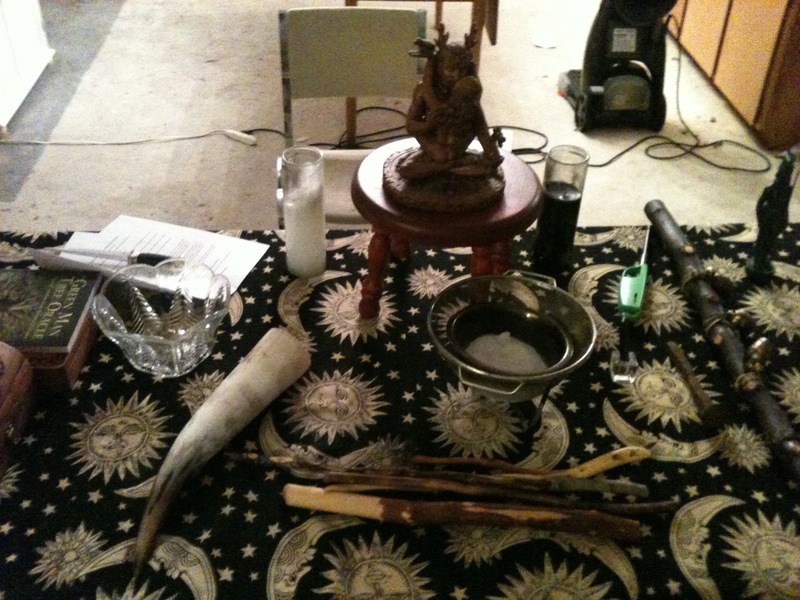 As usual the ritual included spellworking and meditation by drum circle. Holly and Oak Kings… a fight to the death.. almost. UUPS celebrated the two great Kings of the Year. The Oak King and the Holly King. This Midsummer festival on Friday, June 24, 2011 brought us the esteemed opportunity to reenact the great battle of the two kings, the battle that twice a year ensures one will rule while the other sits at the altar of life. This time, the Holly King was again crowned ruler for the coming winter months. UUPS sang, danced, beat drums and rang bells in honor of the Holly King. A midsummer fire allowed all present to burn away a bad habit, problem, situation or other form of negative energy in their lives. Many felt uplifted, inspired and joyful. All present had the opportunity to travel down a garden path in a guided meditation to meet and speak with the Holy Holly King himself. The final union of the Holy Holly King and Queen brought a close to the ceremony and the opening of the Midsummer feast. Mainly a garden dinner, full of salads, cabbage, mushroom, pasta and noodles, the occasional yard bird was seen wandering around before quickly vanishing into the carnivorous traps of Holly King himself. Blessed Be all! Until we merry meet again!